Morning sessions are from 8:30 - 11:30 AM (may end earlier) with a 20-min coffee break. Evening sessions are from 4:30 - 7:30 PM with a 20-min coffee break. Wednesday afternoon is free , with a public lecture by Andrea Ghez in the evening, preceded by Astro-Cafe given by Dimitrios Psaltis and Daryl Haggard both at the Wheeler Opera House. Conference dinners are at 7:45 PM on Tuesday and Thursday at the Aspen Meadows. 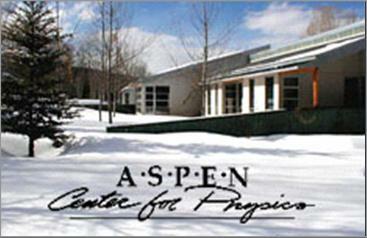 Registration and the Opening Reception will be held at the Aspen Center for Physics from 5:00 - 7:00 PM on Sunday evening, Feb 7. A special poster advertisements session will take place on Wednesday with lunch (for $10), immediately following the morning talk session. All indicated talk times include questions. 7:00 Maryam Habibi Spectral study of S- stars in the Galactic center.